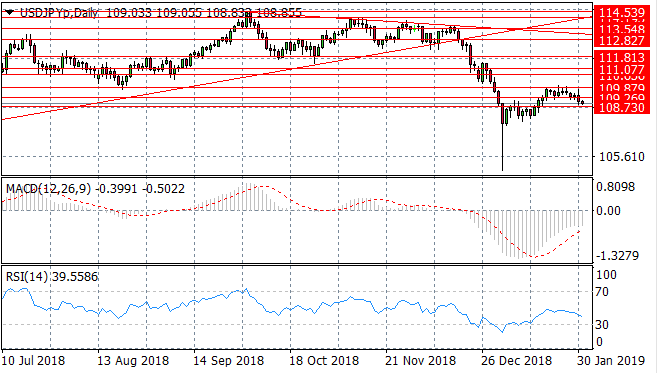 The USD/JPY pair is now approaching the 108.73 price level once again which represents a key long term support level. A break would prove significant. 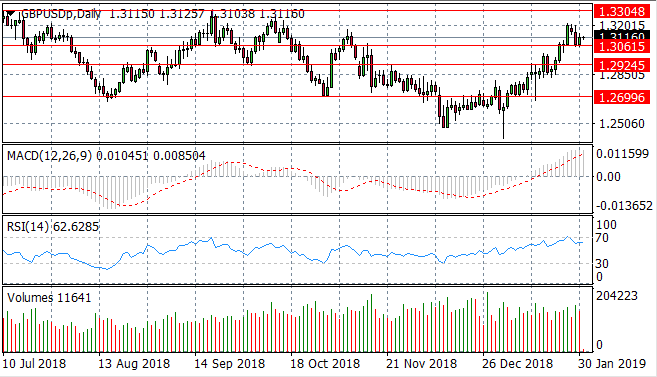 Momentum indicators have turned more bearish in support; with MACD extending further into bearish territory and RSI approaching the 30 support level. 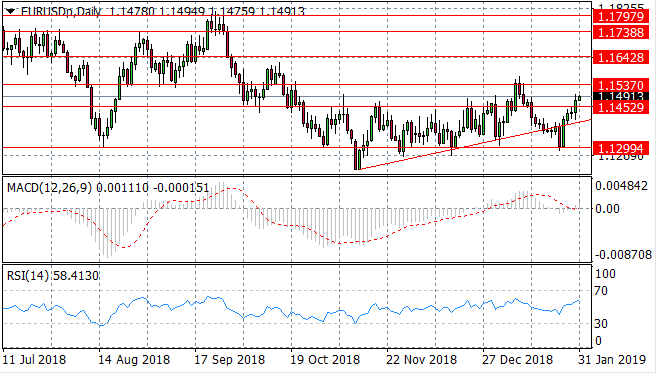 The EUR/USD pair has broken several key resistance areas, including the most recent; the 1.145 price level. Price action is approaching the 1.153 resistance line. Momentum indicators reflect bullish sentiment. 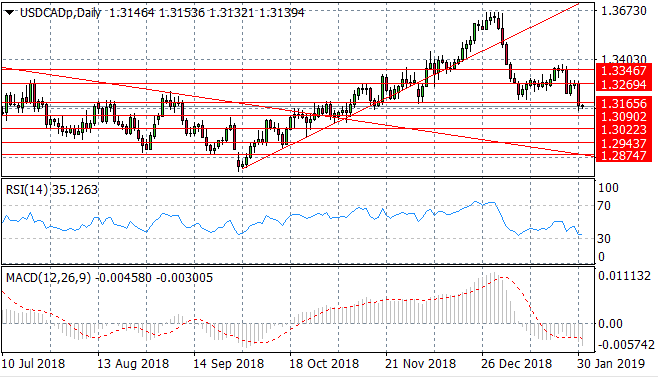 The GBP/USD pair failed to test the previous price high at 1.330, and sellers returned to the pair to drive price action back towards the 1.306. Another rebound has since taken place and it seems the volatility will likely continue up until March 29th. Momentum indicators remain in bullish territory although have decelerated. 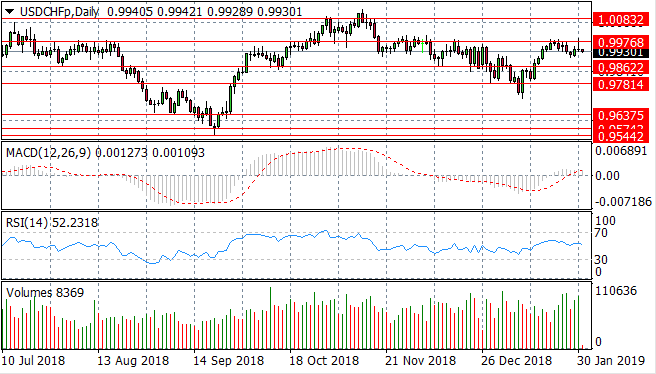 The USD/CHF pair has once again been rejected by the 0.997 resistance level. Price action is now heading back towards the 0.986 price level. Momentum indicators have turned somewhat bearish; with MACD testing the zero line and RSI pulling back towards the default line. The USD/CAD pair appears to be establishing a bearish flag formation. There is little conviction from buyers in rebounds followed by strong bearish moves. The pair has now broken the 1.316 price level and the next target for sellers is the 1.309 price level. Momentum indicators reflect bearish sentiment. 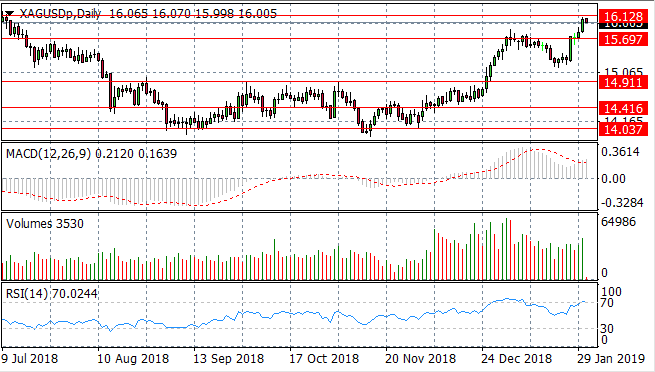 Silver has approached and pulled back from the 16.12 price level. Whether the pullback reflects a reversal or short term pause in the longer term rally remains to be seen. RSI is approaching overbought conditions which may be another indication of a potential reversal. Buying volume is still rising and MACD remains strongly positive. 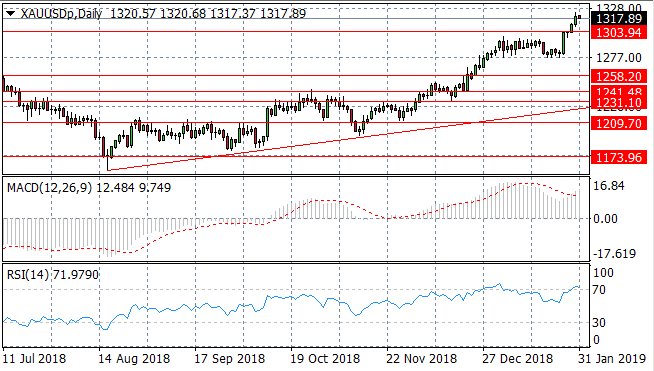 Gold has continued a rally to break the 1303.94 price level after a short pause. There are signs in today's trading of the return of sellers. At the same time, RSI is overbought. MACD indicates there is still some residual bullish sentiment. WTI buyers have returned with moderate bullish moves to take WTI beyond $50 per barrel. 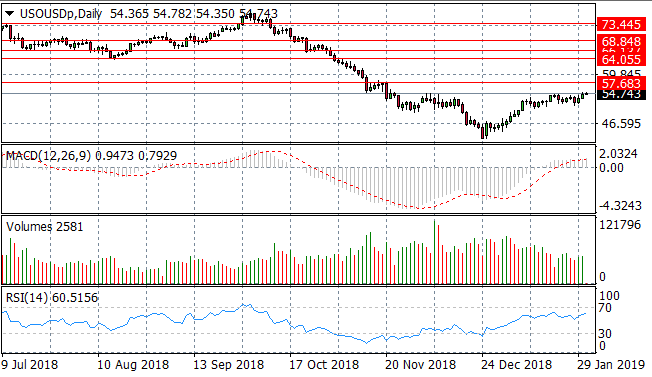 A key resistance area lies at $57 per barrel. The move has been supported by a bullish break of the zero line on MACD and a sharp upward trajectory on RSI and rising buying volume.